When you start blogging, there are two mandatory questions you need to ask yourself: What kind of content you want/can to produce, and how to get traffic for your blog. Both questions don’t have simple answers – but for this post, I’ll assume that you have an answer to the first one. 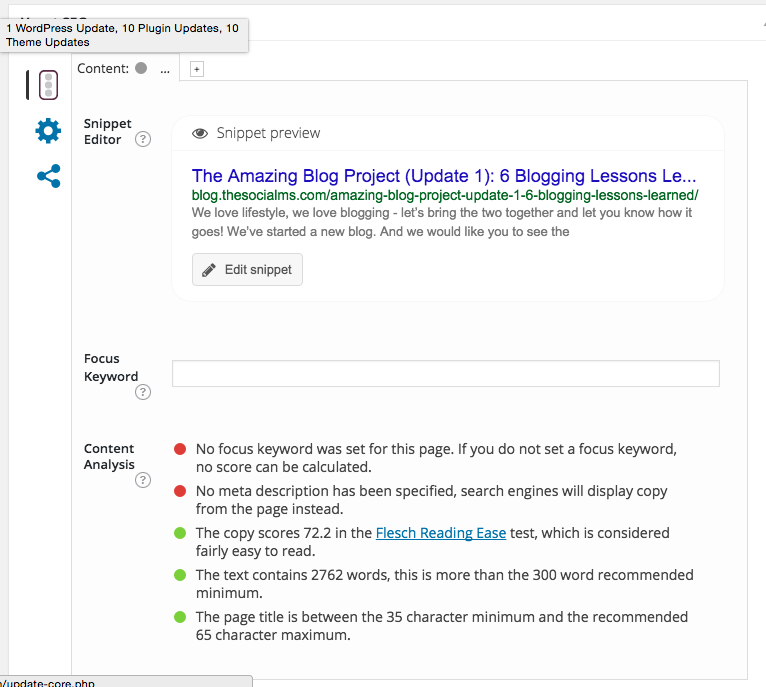 So, let’s see how we are going to get a traffic source for your blog. 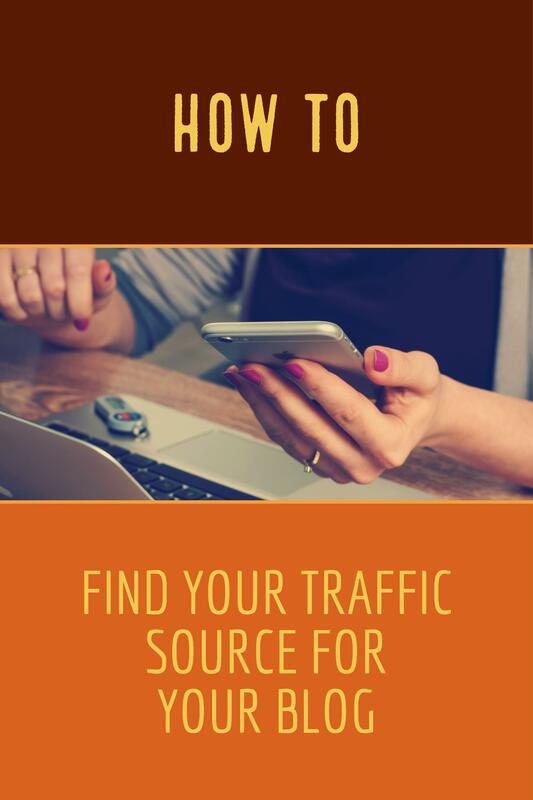 How many traffic sources do you really need for your blog? 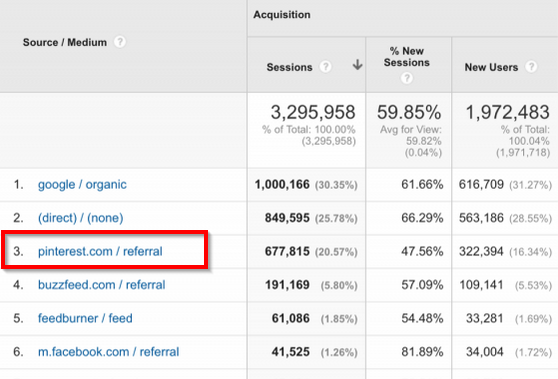 So, how do many traffic sources do you need for your blog? How many traffic sources does any online business need? Really, that is all you need. That is all any online business needs. But it needs to be a traffic source that fits your needs, that works for you and that you can optimize. Why is that? Because finding your distribution channel, finding YOUR traffic channel for YOUR blog is hard. And I’m going to teach you how to do that in a second. But first I want to look at some really famous online businesses that built their success solely on one specific traffic source. Dropbox is one of those companies that instantly found love when it was first released. And it is easy to see why: Dropbox gave everyone a free Gigabyte of easy to use online storage – which was a novelty at the time. So how do you get traffic for a free product? Well, ads are not going to work very long, because if you use ads to grow your business you need to monetize soon – otherwise you are going to lose a lot of money in ad spend. Really, that is all they had to do – find out that their users were willing to invite more users for more storage space. This is how Dropbox grew! It sounds simple now – but this is, too, easier said than done. But when they found that traffic source – Halleluja! But you probably won’t be able to drive traffic and registrations like that – what worked for another company isn’t necessarily going to work for you. In fact: It *probably* won’t work for you. Traffic sources are very company specific, niche specific. Buzzfeed is essentially a media site – just like the Huffington Post, LinkedIn Pulse, Social Media Today, …, and just like YOUR blog. Buzzfeed works both with an editorial staff (producing in-house content), and user-generated content (yes, you can enter your own articles into Dropbox – and hope to profit from their viral distribution system). Click on list posts that pop up in their social media feeds. Share lists on their social media outlets. They created a lot of list posts on their site. The optimized their editor for user-generated content for list posts. They optimized their site for social media sharing. 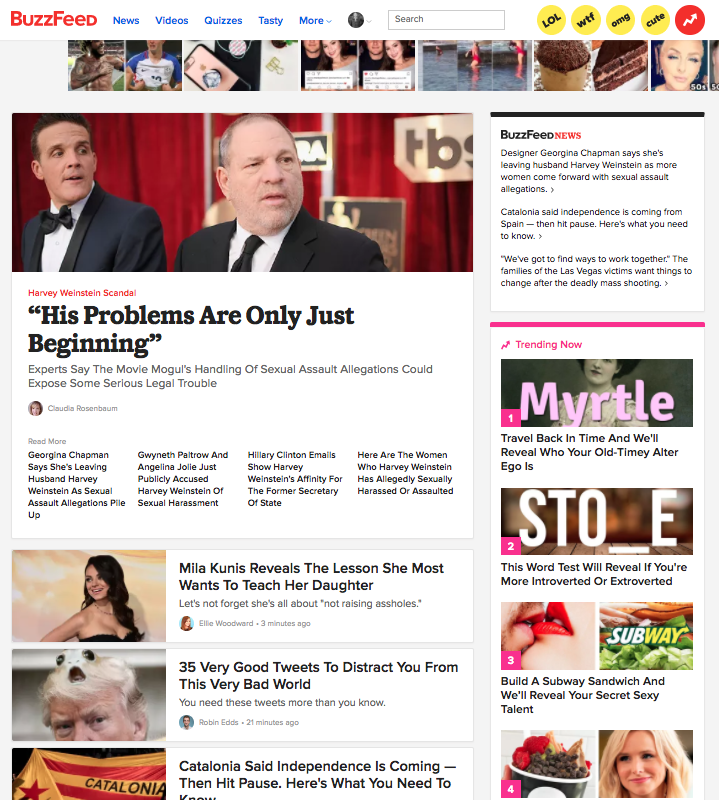 They optimized their site to show their currently most viral content on a “social” frontpage. They soon implemented an even wider “clickbait” strategy focusing on viral content in general (not just lists) – but the key idea stayed the same. And clickbait content is a strategy that many blogs are still using successfully to drive traffic. But even that might not work for you… It all depends on your content, your niche, your blog and your personality. The question comes up a lot – is there a simple solution for driving traffic that works for everyone? Is there a way to drive massive traffic to every blog, online business, company? 99% of the time, these bloggers sell courses about their “magic weapon,” and I’m not going to say these courses aren’t worth the money. In fact, they are worth the money – if they are about a traffic source for your blog or online company, that fits your needs and works for you. Let’s take Pinterest as an example: Pinterest can be a powerful traffic source. A very powerful traffic source! But then, there are a lot of niches that simply will never work on Pinterest. So if you are in the personal finance niche – Pinterest might work for you. But if your niche is investment tips, it will never work for you. Why? Because Pinterest only ever works for content that stays current for a longer period of time. Whenever you have content that is built around short time frames (like news), Pinterest will never work. Enough about Pinterest, what about SEO? SEO is similar to Pinterest in this regard (in fact many are saying that Pinterest is more a search engine than a social network). Driving traffic for news through Google is hard. So, what can you work with for news content? Well depending on your niche, you may be able to drive a lot of traffic through Facebook and Twitter. He is probably right! 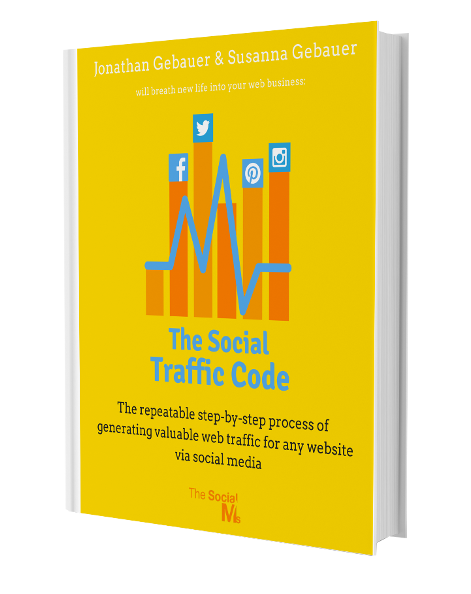 But then, a few experts have discovered Facebook to be their traffic source – for instance [Jon Loomer](https://jonloomer.com). So it can work – but it will probably not work for you. Just like anybody else in the online world, we also have a traffic source that we were (and to a certain degree still are) focused on. Our traffic source of choice is Twitter – and Twitter is a very undervalued traffic channel. Traffic has the power to drive traffic in almost any niche – but whether you can make Twitter your traffic one choice to drive 1000s and millions of clicks depends on too many factors to list here. Twitter allows you to drive traffic in almost any niche – but whether it will be the one traffic source you need is not set in stone. So, to answer the question: there is no single traffic source that works for everyone. Select 3 – 5 possible traffic sources. Test them over a period of time, try different things, but stay as “lean” as possible. Don’t invest too much time getting “strategies” to work – if you cannot prove first that they CAN work for you! Throw out tactics and traffic sources that you cannot get to work for yourself – and replace them with strategies and traffic sources that you still need to try. Working this way, you will always work with 3 – 5 traffic sources until you find one that works for you. This holds true for every online business – but especially for blogs. And once you’ve found your first working traffic source – it’s time to scale the … out of it! (I will discuss scaling in a different article). We know exactly how frustrating it can be when you are starting out to decide which content distribution channels would be best for you. We have been there. We tried so many channels and wasted so much time until we found the perfect channel for us. Our first successful content distribution channel was Twitter. But without considering your special situation there is no knowing if Twitter is the first choice channel for you. 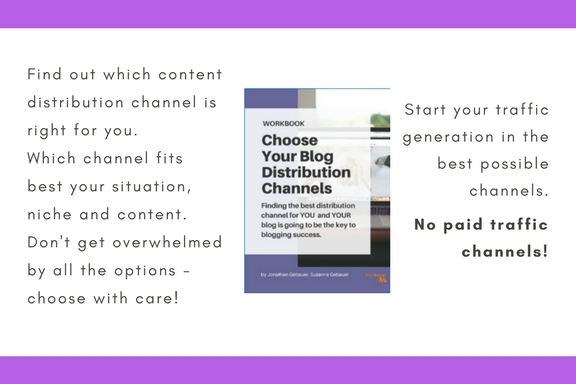 We created a workbook for you to help you “Choose Your Blog Distribution Channels!” Check it out! How do you select the first 3 – 5 traffic sources? You shouldn’t just select traffic sources at random – best case you are going to lose time, worst case you are going to lose a lot of money. Instead, you should make an informed decision. That’s 17 traffic sources already – and I could come up with 15 more just by continuing. The key is to make an initial selection of traffic sources you want to work with and are going to try first. And if you think about this logically, a lot of traffic sources won’t be applicable to you anyway: If you are on a tight budget, Facebook Ads aren’t for you. You aren’t working with news? Pinterest and SEO may work wonders for you. Twitter? Actually, 99% are going to be able to see some traffic from Twitter – so, if you have no specific reason against Twitter, include it. Email marketing is important for 90% of blogs – and you should be trying to build an email list for almost any blog – even if you need a long time to build your list. That is because, down the road, email becomes a lot more important, as it allows you to convert better than any other traffic channel. If you ever want to monetize – chances are you will have an easier time using email. Why don’t I usually include video? Because many people are uncomfortable with video, and that video can cost a lot of time and money. The above is an outline of how to drive growth. The whole point of this article is to show that there is no single one-size-fits-all blog and business growth traffic source. Everybody who tells you otherwise is either a liar or just doesn’t know better. As a marketing education company, that is what we are focusing on. In contrast to most online marketing teaching programs out there, our Online Growth Masterclass doesn’t focus on one distribution channel. Instead, we focus on teaching all we know, how we know specific traffic channels like social networks, SEO, email marketing and so on, perform best. What we do is enable you to find YOUR traffic channel for YOUR blog. So, if you want to build lasting success for your blog, check out our “The Online Growth Masterclass” and see if it is for you.